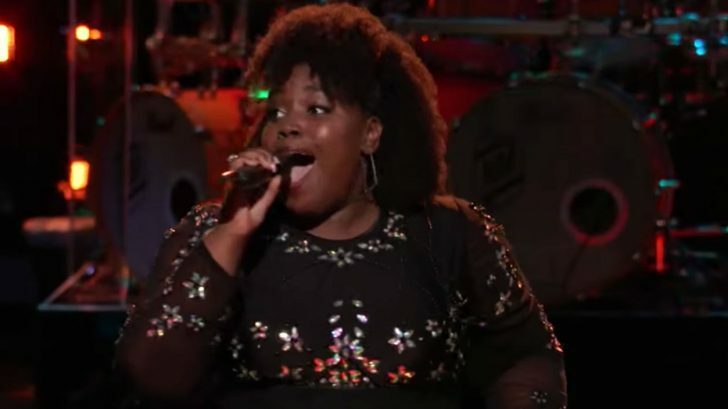 On this season of The Voice, there are an array of knockout talents. Each coach from Team Blake to Team Kelly have hand-picked their singers in hopes of turning them into a star. The four coaches all hold backgrounds in different musical genres aiding to each contestant potential. The four being country music star, Blake Shelton and multi-genre, Kelly Clarkson, R&B singer, Jennifer Hudson, and pop artist, Adam Levine. Each week there is a different competition that goes on eliminating the weaker of the artist’s team members. We made it!!!! These two are just AMAZING!!!! And the sweetest people ever!!!! Let’s goooo @zaxai_official & @natasiagreycloud ❤️❤️!!! The world ain’t ready!!! On Clarkson’s team, one singer stunned the entire panel of coaches with her vocals. Her gospel sound took over the stage as Kymberli Joye owned the Zedd and Maren Morris hit, “The Middle.” Joye starts her rendition off in a similar fashion to the original tune. Her unique vocals runs throughout the song are what got the judges going though. In a bejeweled top and black skirt, Joye lit up the stage with not just her golden voice. Watch Kymberli Joye tear up the stage below!